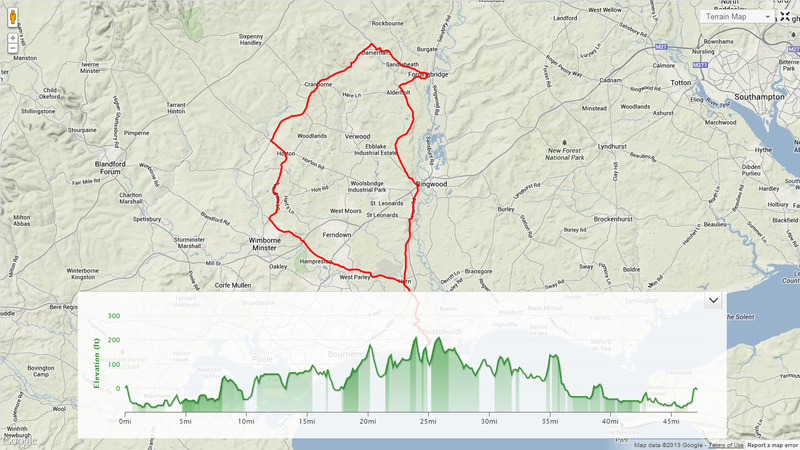 Local Riders,Local Races: Dorset Miles: Working on the Chaingang! Dorset Miles: Working on the Chaingang! …….07:00 alarm, 2 Weetabix, a large coffee, 08:55 Hurn Post Office, only two of us, it might be easy, 09:00 seven of us, it might be hard, pre- ride excuses are made, waiting too long for someone who is not coming is just stalling…….. Black kit, red lights, 2 Bidons, full mudguards because it is winter, track mitts because it is not? One line, a turn on the front, pull off, drop to the back, repeat, communication yes, conversation no! “Car back, Horse, All On”. Matchams Lane, Aderholt, Fordingbridge, there is nothing more important in my life than the wheel in front, for now anyway! Sandleheath, Damerham, Cranborne, caution on the corners in December, where there was none in June. Into the wind, miss a turn, the elastic snaps, only 5 of us now, caffeine gel, Horton, Chalbury Common, nose on the bar tape, Colehill, the elastic goes again, only 4 now, red traffic lights, 5 again, one more hill, green lights at Parley, fast around the airport end in sight and rest! Cool down, soft tap, post-ride autopsy, see ya next week, bacon sandwich, 11:10………. Happy Christmas from "Local Riders, Local Racers"
Dorset Miles, Tea for One! Dorset Miles: "The Club Run"